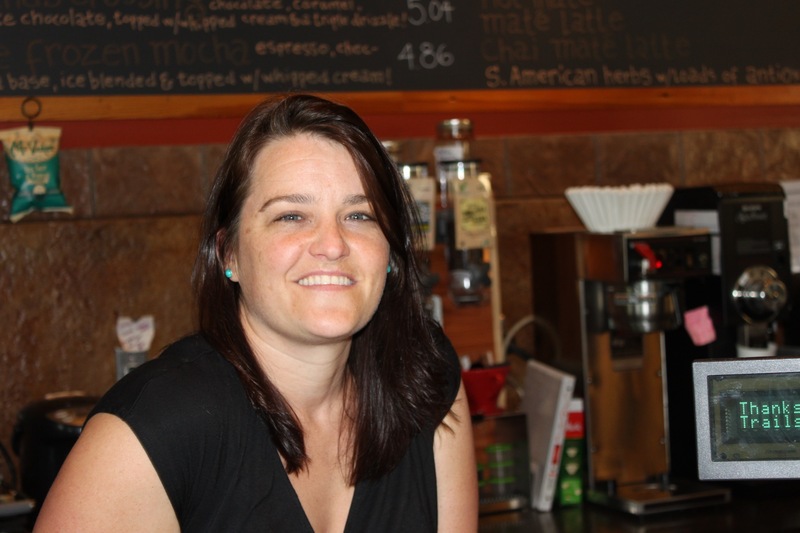 Marcia McGee, proprietress of Trailside Coffee in Old Trail, has been in the Crozet area her entire life. While we were talking, she said that told me that she’d shot at a groundhog that was near the grain silo that was where her cash register currently stands. Q: What do you love about Crozet? A: (said with a big laugh) … It’s a love-hate relationship; I know everybody and I know everybody. Q: Best change about Crozet in the past 10 years? Q: What is one thing you’d tell something about Crozet? A: I was talking to a family coming from Lexington, and my husband told them that Crozet is kind of like an adult playground. You can get to Charlottesville, but polo on Sundays … there’s tons of kids, great schools, families, older families – not just the early 20’s families but mid-30’s families too. Kids and families, but there’s just as much for adults as there are for kids. I love the mountains – the view from Trailside is tremendous, the coffee is great, and Crozet’s lucky to have Marcia, her family and Trailside. See the entire People of Crozet series at PeopleofCrozet.com. I’m still looking for volunteer authors/contributors/anybody who’ll help me with this series; If you’re interested please let me know. Previous PostPrevious Crozet Library – Dirt is Moving!